I was never really caught up in the whole hype that surrounded the Revlon 'Nearly Naked' foundation when it came out earlier in the year, but after being stuck in a bit of a foundation rut now it's turning to A/W, I decided to give it a go. 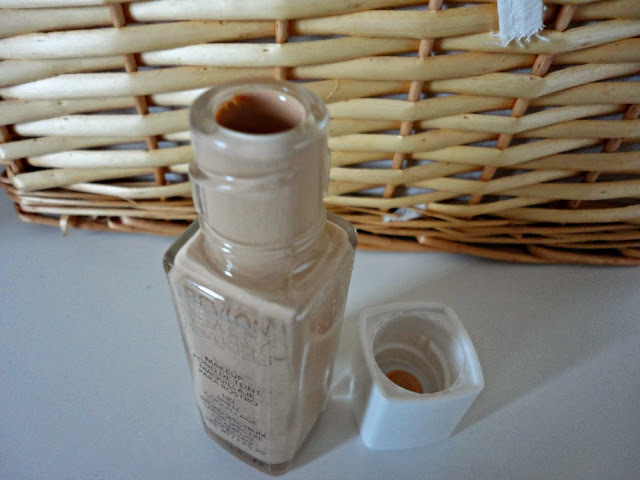 It was a toss up between this and the Bourjois Healthy Mix foundation but there didn't seem to be a lot of shades available so I thought this was a safer option! I got the shade 'Shell' which I believe is maybe the lightest shade? I'm not sure. But anyway, after finally accepting that I can't keep up with doing fake tan all winter long, I've given in and this is finally the right shade for me. I've been testing it out for a week or so now so here are my thoughts. I'm not a huge fan of the packaging, as there is no pump which makes applying this a bit messy. Whenever I pour some onto the back of my hand, it seems to end up on my clothes which is irritating! 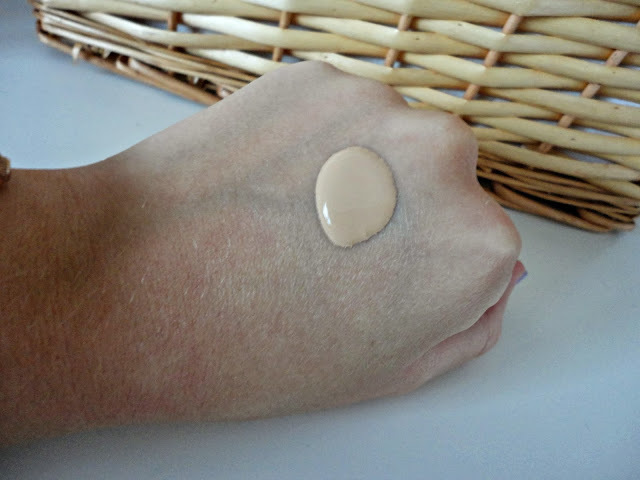 As the foundation is quite runny, you have to work fast to apply it to your face to avoid dripping foundation all over the place! Now onto the actual foundation. When I first heard about this, I was expecting it to be really light coverage, leaving a BB Cream like finish and that just wasn't what I was looking for. However, this definitely has a more light/medium coverage, similar to the Rimmel Wake Me Up foundation I'd say, so you do need a more heavy duty concealer for spots. The colour match is just right for me at the minute, and what I like is that it isn't too pink or yellow toned, it's just neutral which is great as it doesn't make my face a totally difference shade to my neck! I would say it gives a satin like finish, not too shiny at all but not matte either. 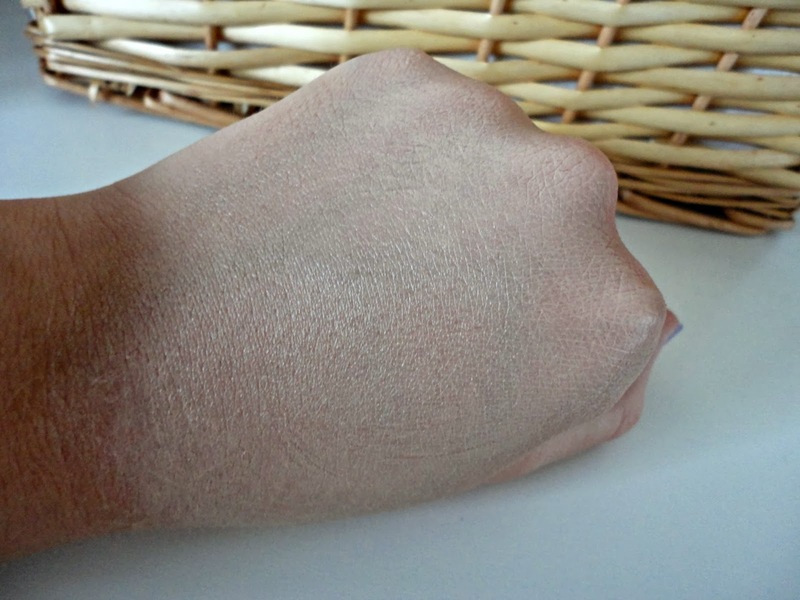 My only niggle is that it does cling to dry patches so it may not be the best choice for drier skin. In terms of lasting power, I've found this to be really good. I don't generally use a primer day to day, and I just set this with a bit of powder in my T Zone and it's set for the day! It is worth mentioning I have normal skin and most foundations last pretty much all day on me anyway. 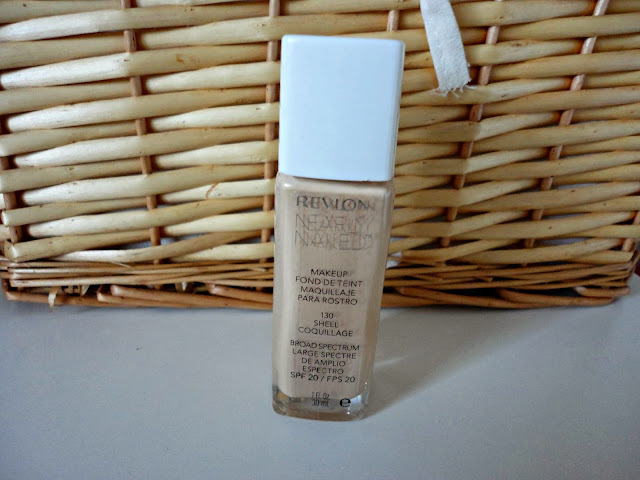 I've also tried mixing this foundation with others when I was slightly more tanned and it works okaaaay but not great so I think I'd stick to wearing this on it's own or using another shade from the range to mix. Phew! I feel like I haven't done an in depth review in a while so I hope this has helped. Have you tried this foundation? This foundation is definitely next on my list simply because they cater for us paler girls! I have the bourjois healthy mix serum in the lightest shade and its just a TAD dark for me. Love reading your lovely blog so I've nominated you for The Sunshine Award! All the how to's are over on my blog for you! Hope you enjoy taking part!